During fall 2016, I took a graduate-level course titled Development and Conflict Resolution: Humanitarianism, Development, Peace, and Conflict (INTL 510). The course offered a multidisciplinary approach to theory and practice of humanitarian aid, peace-building, and development as it takes place during or after violent conflict. It focused on the work of international organizations (including international NGOs, multi-lateral organizations such as the United Nations, human rights groups and others) working in conflict-affected areas or on issues of conflict. For the final project, I was part of a team of students that designed an action proposal that addressed a development-related issue in Amman, Jordan. For this final project, there were three goals: i) to identify a problem; ii) to craft an appropriate solution; and iii) to make the case for the right actors to take action. We created a hypothetical community-led organization called The Amman Community Co-op: (ACC). More specifically, I was responsible for the development of the Educational Pathways program. According to IMMIgroup, a Canadian immigration consulting firm, beyond Syria itself, no country has been impacted by the Syrian refugee crisis more than Jordan. Jordan’s infrastructure has been put under extreme pressure after accepting a higher per capita refugee population than any other country (Spracklin). As of July 2015, one third of the people residing in Jordan were refugees (See Figure 1 below, Spracklin). The creation of numerous refugee camps, especially surrounding Amman (see Figure 2), now necessitates additional services and systems to ensure that the Jordanian government is able to cope with the influx and is able to meet the needs of both Jordanian citizens and Syrian refugees. A major pressure point on Jordanian society is in the educational system, where there are limited resources for meeting the needs of locals and refugees. This pressure is putting stress on the community of Amman which is developing an anti-refugee attitude. This attitude risks degrading into intolerance and even violence if pressure is not alleviated. The ACC offers an option for alleviating pressure on classrooms in refugee host communities. Figure 1 - Refugee Population in Jordan. To alleviate pressure on infrastructural systems for refugees in Amman, Jordan. To increase the human capacity of the target community, thereby preventing the development of an “underclass” of desperate and uneducated people fleeing the Syrian Civil War. To facilitate the flow of refugees into host communities in Jordan and out to new homes around the world. The ACC will be located in Amman, Jordan because Amman is surrounded by multiple refugee camps (See Figure 2 above). More specifically, the community center will be located in the southwestern region of the city, as this will allow easiest access to multiple embassies and in-country resources strongly needed by those who hope to apply for asylum or become permanent residents in Jordan. The ACC is designed to provide for displaced persons who have fled to Amman, Jordan, especially targeting family units. Encourage participation of the target community in providing education and skills training for other members of the target community. This community center will not exclusively cater to any single ethnic or national group as it is designed to enhance community cohesion, not to be a divisive influence. The project proposes the creation of a self-sustaining community center in Amman, which will utilize member inspired curriculum to provide education and skills training to displaced persons. provide education to displaced persons and utilize the strengths of its members by encouraging them to share their skills and knowledge with others. The teaching and office staff of this community center will largely come from the local community in Amman. Members will be encouraged to participate as instructors or workers and offered compensation when deemed appropriate. The ACC will provide both general education (reading, writing, math) and technical/vocational education. English language instruction will be facilitated on a volunteer basis and through on-site tutoring conducted by both local community members and non-permanent international support staff. The community center will also provide all necessary information to educate people about how to apply for asylum in various countries. It will help facilitate this process for those community members interested in legal migration. The ACC will strive to use all available resources to increase the human capacity of the target community. The ability of our organization to secure reliable donors will also greatly contribute to the success of this mission. In order to be self-perpetuating, the community center needs to be located in a building with indoor plumbing and electricity, comfortable accommodations for studying, basic facilities for the sanitary preparation of food, basic medical facilities, and ample storage for supplies. Non-permanent international staff members are also necessary to help initiate the organization, instruct new teachers, and make contact with donors. Community necessities: kitchen supplies, furniture, misc. These are currently active organizations within Jordan. Working with local partners contributes to the solid, communal foundation this co-op endeavors to create. It helps to break down some of the communication and educational barriers, we, as internationals, might have when cooperating with the Jordanian community. By deferring to the experience and expertise of our neighbors, we take the first step, as a new NGO, towards building trust. These established Jordanian NGOs are strong, reliable, and diverse and will be an asset to the success of our project. In basic education (A), everyone is encouraged to take basic math, reading and writing workshops both in Arabic and English. Teachers will sign a three-month contract (with potential for renewal) and be trained by the ACC—school materials will be provided to everyone and teachers could include college students, young professionals, retired professionals, etc. The technical-based education (B) pathway is designed for teenagers and adults who are interested in learning professional skills like electrician, basic medicine, mechanics or information technology. Volunteers from both the community and universities will lead everyday workshops. Students and teachers in this program will be focused on hands on activities rather than traditional education. Finally, the Community-based education pathway (C) is designed for more experienced people who are interested in working with everyday chores within the community and its activities, such as mothers, fathers, and youth who are at least 17 years-old. This pathway will include workshops on management, cooking, community-building, local outreach, leadership, arts, and social media—students in this program will be trained to plan activities and events focused on social integration for all other students in the ACC. The core aspect of all of our three educational programs is to foster social cohesion while bridging the psycho-social and economic needs of our refugee community by offering a stable, safe, and community-led environment. The ultimate goal of our pathways is to strengthen individuals so that they can rebuild their own communities by pursuing productive and meaningful lives. Community Resentment: This project could cause resentment between the Syrian and Jordanian populations. As the number of Syrians entering local cities and communities increases, struggling Jordanians may feel betrayed that refugees are being allocated more resources than Jordanian citizens. The success of our project relies on peaceful relations and cooperation between both communities and we should strive to limit the amount of resentment. Full transparency of the project’s objectives could help minimize any resentment. The Community Co-op also recognizes the tension between the host Jordanian community and the refugees. Thus to make sure the community center is accepted by the host community, the coop will be opening up the center for internships. The Community Co-op will be recruiting Jordanian college students to serve as interns and in return they will be given a certificate of experience stamped an international organization. This will not only enable us to recruit more manpower for no cost but also have the community more engaged with our non profit. Water Scarcity: Another barrier our project will likely face is effectively managing the country’s current water crisis. Economic development, climate change, and population growth have all contributed to Jordan’s decreasing water supply. Measured in cubic meters per person per year, the water supply decreased from 9,6000 cubic meters in 1946 to 145 cubic meters in 2008, with a projected level of 90.5 in 2025. Prior to the beginning of the project, leaders and volunteers will be fully educated on the crisis and water culture in Jordan and be assigned the responsibility to educate the refugee population on the severity of the water crisis. We will ration daily water use according the to following general priorities: personal (drinking only), medical treatment and sanitation, food preparations and laundry. Two 400 gallon emergency water reservoirs in the community center will provide a buffer in the event of an acute water crisis. Turkey has agreed to supply the co-op with water for drinking and other uses. The ACC would like to become a stable local institution that continues to serve as a resource to empower community members. After one year, the ACC plans to have an established circulation of community staff members representing diverse skill sets. The community center will work to have a proven track record of educational merit as well as a reputation for effective coordination with international institutions in finding refugees new homes. By accomplishing these goals, the community center will secure continuous funding for as long as it needs to operate as a major local player in the refugee crisis. In five years, although the Syrian refugee crisis may have changed, there will still be beleaguered communities in Amman that need help. By that time, this project also aims to build a successful model for alleviating pressure on refugee host communities that can be replicated in other communities throughout Jordan and Turkey. Dhingra, Reva. "Losing Syria's Youngest Generation: The Education Crisis Facing Syrian Refugees in Jordan." Middle East Research and Information Project. Middle East Research and Information Project, 2 Mar. 2016. Web. 13 Nov. 2016. <http://www.merip.org/mero/mero030216#_10_>. Jordan - Where We Work." UNRWA. United Nations Relief and Works Agency, n.d. Web. 27 Nov. 2016. <http://www.unrwa.org/where-we-work/jordan>. Marzouk, Mohsen. "The Associative Phenomenon in the Arab World: Engine of Democratisation or Witness to the Crisis?" NGOs, States and Donors (1997): 191-201. List of NGOs in Arab States. Web. 28 Nov. 2016. "Missing Out: Refugee Education in Crisis." 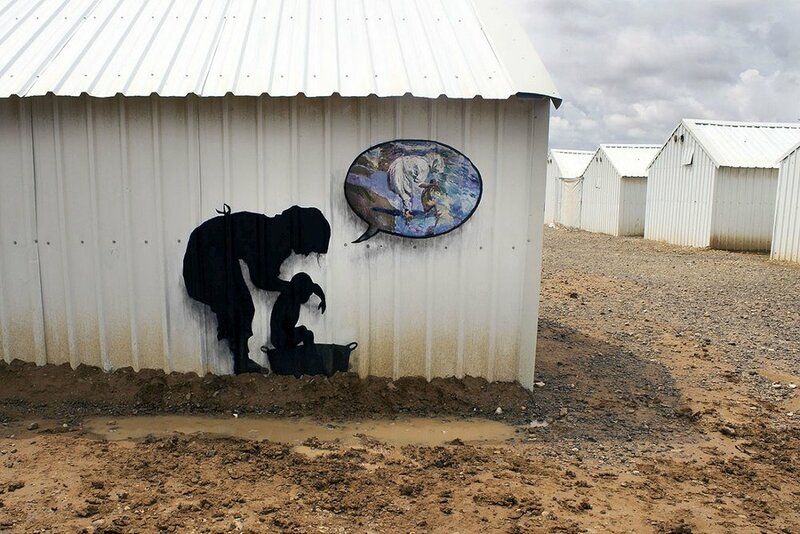 UNHCR. N.p., n.d. Web. 26 Nov. 2016. "NGOs." Sustainable Development Network Programme. Jordan Embassy, n.d. Web. 28 Nov. 2016. <http://www.sdnp.jo/NGOs.aspx>. Spracklin, Pat. “Refugees - Where Do They Go? Top Refugee Destinations” - Immigroup - We Are Immigration Law. IMMIgroup, 14 July 2015. Web. 26 Nov. 2016. <http://www.immigroup.com/news/refugees-where-do-they-go-top-refugee-destinations>.